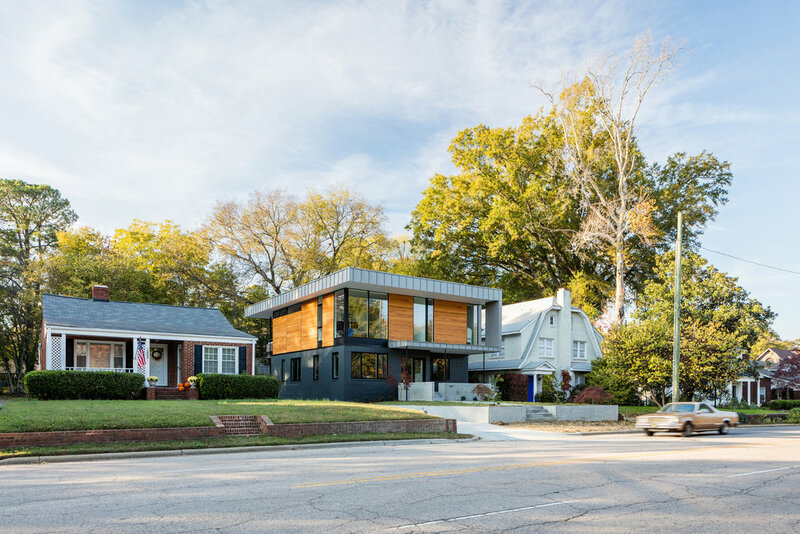 Carroll-Helms Residence — Raleigh Architecture Co.
Sited on a busy thoroughfare near downtown Raleigh, the Carroll Helms Residence breathes new life into an existing 1920’s masonry structure. 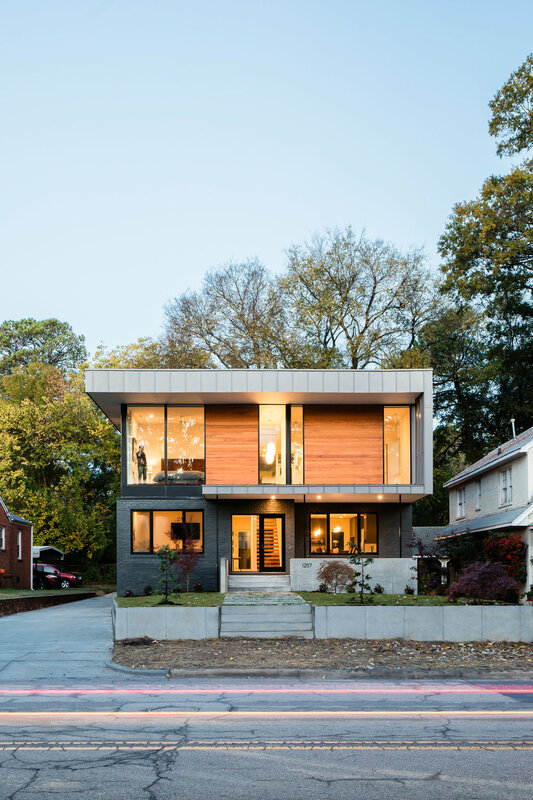 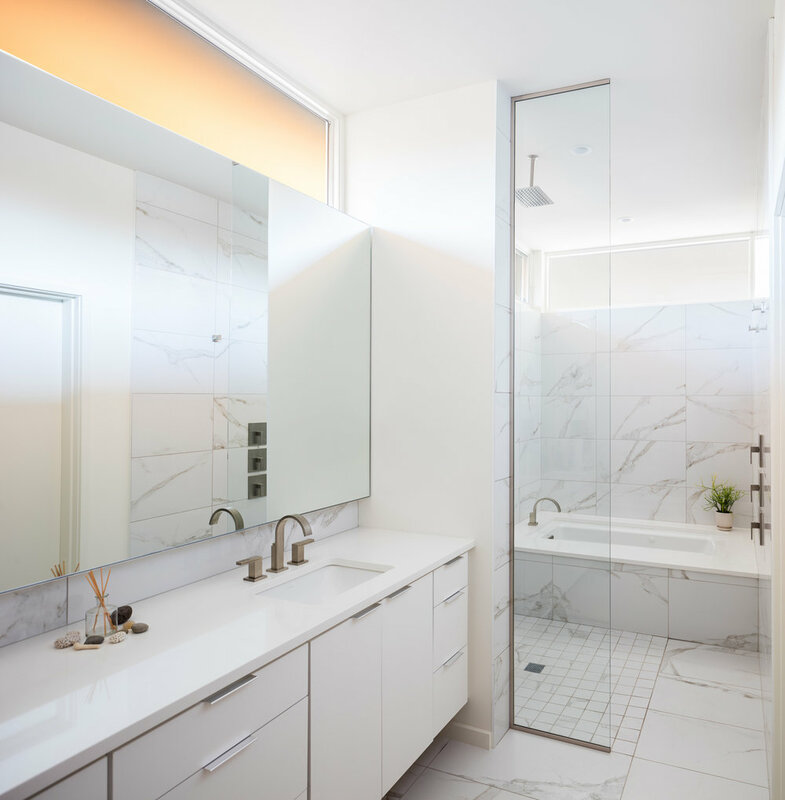 Re-envisioned to meet the needs of a large modern family, the house retains elements of the existing house typology while introducing new spatial elements. 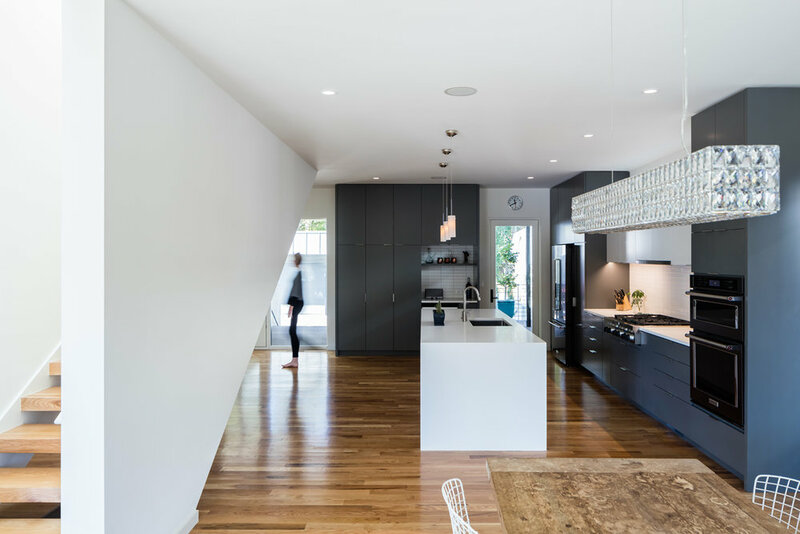 A central hallway becomes a light filled stair volume, connecting the front yard to the back and separating the private sleeping areas on the second floor. 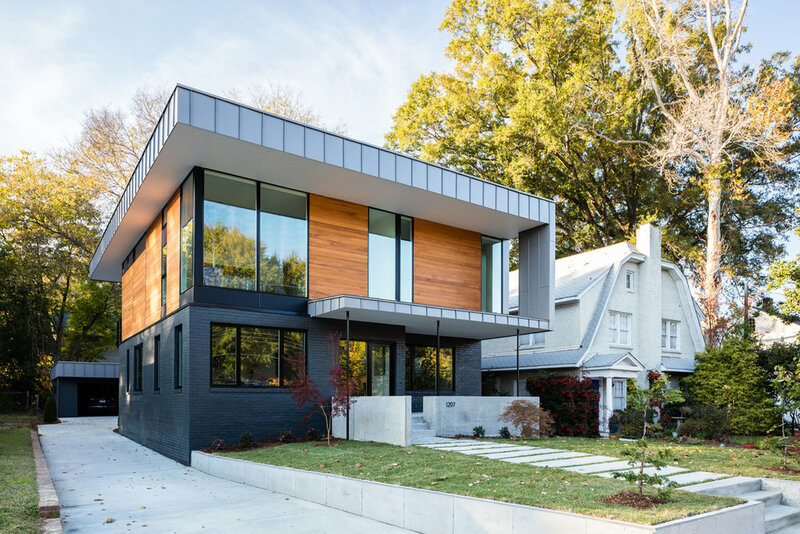 Spacious back porches capture light and breezes and the front porch is bordered with concrete landscape walls to reimagine an old house with new rules.